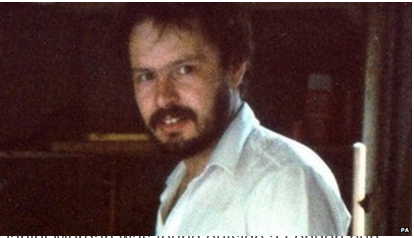 The independent panel Inquiry into the still unsolved murder of private investigator Daniel Morgan in 1987, set up following a statement to Parliament by Home Secretary Theresa May, and chaired by Baroness Nuala O’Loan, has called for anyone who may have information to come forward. Morgan was killed in the car park of a south London pub; he was apparently on the verge of exposing significant Police corruption. As the Inquiry chair has told, “As we approach the 28th anniversary of Daniel Morgan's murder the panel would like to hear from anyone who believes they may have information which is relevant to its work. If you believe you have any such information, no matter how insignificant it may seem, please contact the panel”. Co-operation has been sought from a number of bodies and individuals. That number is about to be expanded by just one more. Because today, Alastair Morgan, the dead man’s brother, has delivered a letter for the personal and specific attention of Rupert Murdoch, to News UK’s offices in London. Accompanying and supporting Alastair in his journey has been my good friend, journalist, author and playwright Peter Jukes, whose book on the Hacking Trial, The Fall Of The House Of Murdoch, is available at all good bookshops, or online. In his letter, Alastair has asked Murdoch to personally ensure that his executives, their staff, and all those who contribute to News UK and News Corporation media output confirm their co-operation with Baroness O’Loan’s Inquiry. This is no mere gesture: when a previous attempt in investigate Daniel Morgan’s murder was launched by the Met, the now-defunct Screws began to spy on the detective leading the investigation. The editor of the Screws at the time was none other than Rebekah Wade, as she then was, and the other party in the paper’s surveillance of Dave Cook and then wife Jacqui Hames was Southern Investigations, where the murdered man had been a partner. The Murdoch press was very heavily involved. Now its head man is being asked to volunteer what information his empire holds on the whole sorry business. Alastair Morgan has reminded Murdoch “The work of the Daniel Morgan Independent Panel is almost entirely dependent on disclosure and I am appealing to you today – on the 28th anniversary of my brother’s murder – to ensure that News Corporation discloses all relevant material in confidence to the Panel”, and has said in conclusion “I would also ask you to urge any of your employees or former employees who have information about the murder or activities of Southern Investigations to contact the panel”. Alastair Morgan is, like so many of the victims of press intrusion, an ordinary member of the public placed in an extraordinary situation. What he and his family need has been put simply and directly: “We need to know the truth about what happened to Daniel and why. You are in a unique position to help us finally lay Daniel to rest”. This is a request to Rupert Murdoch to do only one thing - the right thing. Have every sympathy for Alastair and his family but asking Rupert M to do the right thing is a bit too simple. Doing the right thing according to Rupert M, and his minions, would be doing the best thing for his company, his wealth and power. It was Desmond who said he didn't understand the word "ethics" at the Leveson Inquiry. It might just as well have been said by Murdoch.